Are you one of the candidates who are in search for the DSSSB AE JE Syllabus 2019? If yes, then you are in the right place. We had furnished the complete details regarding the Delhi Subordinate Services Selection Board Syllabus 2019 of Assistant Engineer (Civil, Electrical), and Junior Engineer (Civil, Electrical) Posts. Meanwhile, aspirants can download the DSSSB Asst. & Jr Engineer Syllabus 2019 from this article. 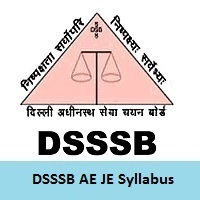 Here we also had provided the complete details regarding the DSSSB AE JE Exam Pattern 2019 as well as Delhi Subordinate Services Selection Board (DSSSB) Selection Process. Furthermore, details keep in touch with the official web site @ dsssb.delhigovt.nic.in. Negative Marking will be applicable and the deduction of 0.25 marks will be made for each wrong MCQ answer. The officials of the Delhi Subordinate Services Selection Board will be decided on the selection process for Asst. Engineer, Junior Engineer posts. Here we had provided the DSSSB Selection Process for AE, JE posts for the candidate’s convenience based on the Official Notification. This selection process will help the aspirants who are preparing for the दिल्ली अधीनस्थ सेवा चयन बोर्ड AE, JE posts 2019. Selection will be based on the performance of the candidate in the Tier-1. Using this document competitors can get higher marks than excepted marks. Aspirants should make their study time table or schedule of the day and accordingly start preparing. Candidates require to maximum use of flowcharts and diagram to understand deeply the concern topic. 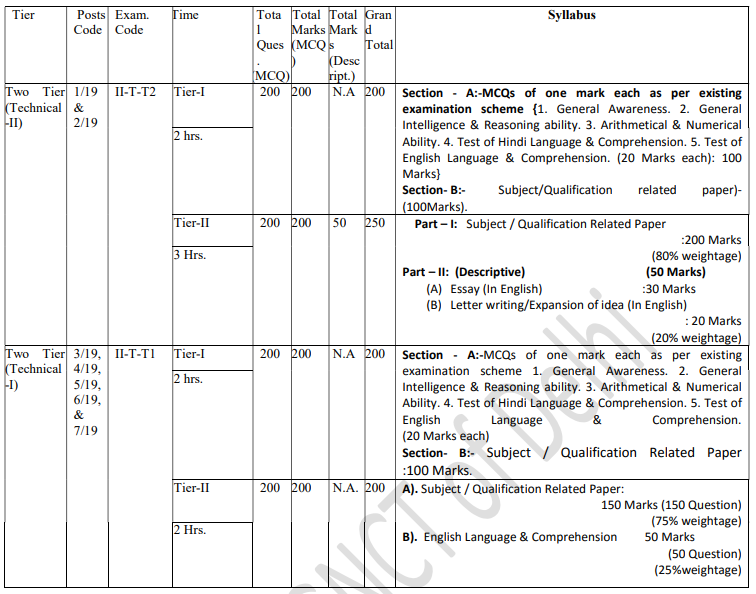 Competitors collect the DSSSB AE, JE Syllabus, Exam Pattern 2019. Candidates must regularly practice solving दिल्ली अधीनस्थ सेवा चयन बोर्ड AE, JE Previous examination papers with this you will be able to increase your knowledge as well as time accuracy (also provided the link at this page). Practice the mock test before the date of examination. Thank You. For the candidate’s comfort, we had furnished the complete Syllabus at the below sections. And also, we had provided the direct link to download the Delhi Subordinate Services Selection Board Assistant Engineer, Junior Engineer Syllabus. Candidates can prepare according to the syllabus pattern then you can get the highest marks in the Delhi Subordinate Services Selection Board AE, JE Examination 2019. Governance in NCT of Delhi, various schemes of Delhi Govt. Hope the above information is handy for all candidates regarding the दिल्ली अधीनस्थ सेवा चयन बोर्ड Assistant Engineer, Junior Engineer Syllabus 2019. As well as Exam Pattern 2019 and Selection Process 2019. If have any queries then candidates can comment your queries on the below comment box. furthermore, information regarding the Syllabus, Admit Card, Previous Papers, Results, Govt. Notifications keep in touch with Sarkari Recruitment. Thank You.